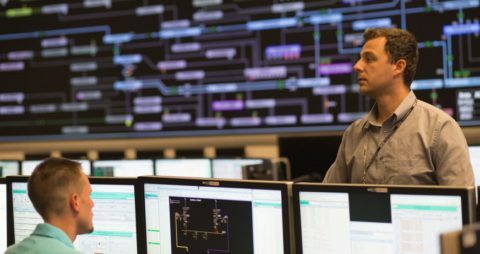 When one thinks about maintaining a reliable and functional power-grid, the typical image is adding or upgrading power plants, transmission lines, and substations. However, there’s another angle to consider. Non-wire alternatives are utility system improvements and operating practices that reduce the load on the grid, maintain capacity, and improve grid reliability local to where electricity is actually used. Such concepts include energy efficiency, battery storage, demand-response, distributed generation, microgrids, advanced metering infrastructure, time-of-use rates that help shape behavior, net-metering rules, and more. New Hampshire’s regulatory authorities and grid managers allow for and encourage each of these strategies, balancing benefits, costs, and risks against traditional power upgrades through least-cost planning. With presentations from industry experts, attendees to this EBC New Hampshire Energy program will learn about the various approaches in New Hampshire, the regulatory and legislative rules to their use, and the ultimate benefit to consumers; reliable power at lower rates. Following the Speaker Presentations will be a Panel Discussion moderated by Alexander Tang, Project Manager at TRC.